Bible Alone, Faith Alone, Grace Alone, Christ Alone, Glory to God Alone! 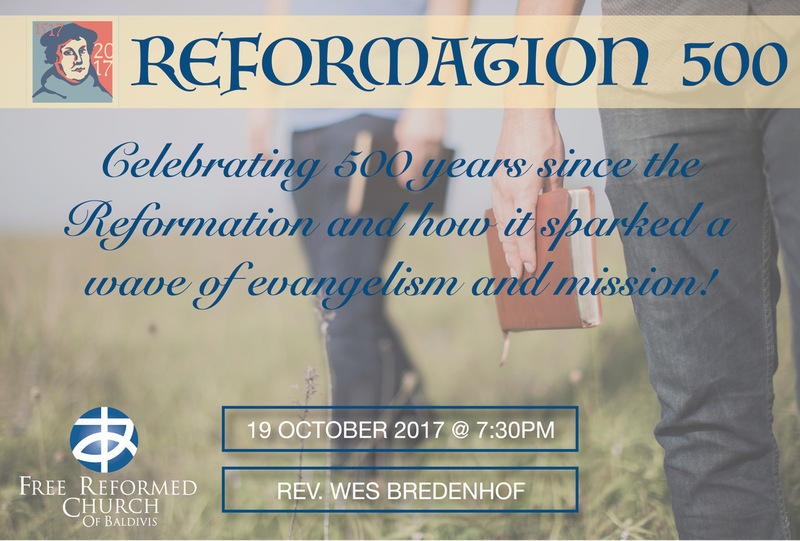 Celebrating 500 years since the Reformation and how it sparked a wave of evangelism and mission – Presentation by Rev. Dr. Wes Bredenhof. 1. Where is the mission field? 2. What is the church’s calling? We’ll especially consider the views of Guido de Bees, John Calvin, and Martin Bucer. For the fedgling churches of the Reformaton era,, the noton that belief and salvaton were to be rooted in the proclaimed Word required a profound shif in understanding.. It meant rethinking,, at a fundamental level,, how God was to be communed with and how salvaton was to appropriated.. Of all the Reformers,, no one did more to educate sixteenth century believers about the character and functon of the preaching than John Calvin.. In this evening ’ s discussion we will refect on why the shif away from the sacramentally centred liturgy of Rome to the preaching focused ministry of the Reformers represented such a profound reorientaton in thinking.. We will also consider some of the things Calvin had to say about how the Gospel message could be efectually communicated by the new Protestant pastorate.